Another political party has been launched in Malaysia - the Parti Pribumi Bersatu - and Malaysia's political landscape has grown more crowded. Why do Malaysians keep forming new political parties? Political mobilisation remains attractive in the country, and parties offer more than ideological choices. Malaysia's political landscape has grown even more complex and diverse with the announcement of yet another political party - the Parti Pribumi Bersatu Malaysia (Bersatu). It will be led by former deputy prime minister Muhyiddin Yassin as president, with former prime minister Mahathir Mohamad as its founding chairman and Tun Dr Mahathir's son, Mukhriz, as its vice-president. Earlier, another new political party had entered the fray - the Parti Amanah Negara (National Trust Party) or Amanah - that was formed by former members of the Parti Islam SeMalaysia (PAS) and led by former PAS stalwarts Mohamad Sabu, Mujahid Rawa, Ahmad Awang and Salahudin Ayub. Both these parties are made up of dissidents who once belonged to the biggest Malay-Muslim parties of the country - Umno and PAS - and they suggest that shifts are taking place within the largest electoral bloc of the country. These developments are happening at a time when the political fortunes of all the parties in the country are hanging in the balance. The Merdeka Centre's poll last year showed that levels of public support for mainstream parties are dwindling, and the government's overall approval rating had dropped below 30 per cent. The dominant Umno's popularity has waned, but so has the standing of PAS since it left the opposition coalition. The new parties may tap into the grievances within those parties, but it is not clear if any of these new parties can dislodge the pivotal mainstream parties - Umno and PAS - that have been part of the scene for decades. In terms of membership, Umno and PAS remain the biggest parties in the country. How can we account for these developments that seem to cancel out each other? If support for mainstream parties is indeed waning, how do we explain the results of the state elections in Sarawak, that witnessed a return to the fold of the Umno-led ruling Barisan Nasional (BN) coalition and the disastrous showing of the opposition Democratic Action Party (DAP)? 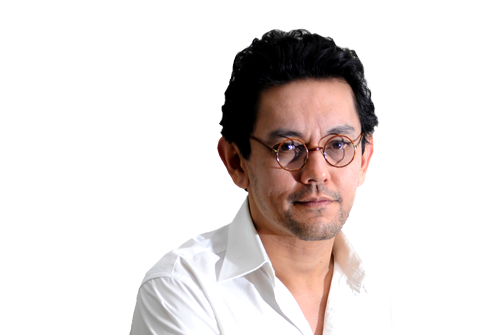 First, it ought to be noted that Malaysia, by now, has become a thoroughly politicised country where the proliferation of parties can only suggest that a vast number of Malaysians of voting age have become members of a political party of their choice. Second, if it is the case that many Malaysians have become members of parties, it would also suggest that the Malaysian electorate has become saturated, and it would be relatively difficult for any new party to break new ground and capture new bases of support. This was the problem faced by Parti Keadilan Rakyat (PKR), led by Anwar Ibrahim, in the past when it found itself between two bigger and older opposition parties, PAS and the DAP. For PKR's membership base to grow, it would need new members - but new members could only be found from the other parties - which would obviously be reluctant to allow other parties to "poach" their own supporters. WHAT FUTURE DOES THIS PORTEND? Third, we need to ask how and why people join parties in the first place, and what they hope to gain from doing so. In the Malaysian context the answer partly lies in the workings of Malaysia's federal system, and the complex dynamics between the federal government and state governments. In the case of the East Malaysian states of Sabah and Sarawak, the added appeal to political membership is the lure of local state politics, and the desire to assert the political identity of the states vis-a-vis the federal government. This was made evident at the recent Sarawak elections as well, where local Sarawak interests and sentiments were paramount, and where the desire to preserve some sense of autonomy and identity was seen in the campaigning that took place. Finally what does this say about how Malaysians view political parties in general, and what does it portend for the future? The proliferation of parties - like the proliferation of NGOs, associations and lobby groups in Malaysia - has two sides to it: On the one hand it adds to an increasingly complex and at times confusing political landscape where identity politics and communal demands remain the norm and where political activism, when couched in communal terms, can appear divisive and exclusive. But on the other hand, the creation of more and more parties, NGOs and associations seems to suggest that the political system is still seen as a tool for mobilisation and a vehicle for some kind of political-social mobility. Parties in Malaysia often work as patronage-granting mechanisms that provide not only political goals but also social capital, credibility, prestige and means of acquiring power and resources. This has also been demonstrated in the workings of opposition parties that have assumed power in states like Penang, Kelantan and Selangor, since 1969. Hence, parties are not only depositories of ideological belief, but also instruments for social-political- economic advancement, for individuals and communities alike. Perhaps the one positive aspect of these recent developments is that it demonstrates that the mode of participatory democracy - even when it is populist in tone and tenor - still has appeal in the country, and that Malaysians still believe in playing by the rules of constitutional democracy. A far more worrying outcome might be a situation where people lose faith in the political system, and regard both politics and the goal of state capture as futile and unnecessary; for that would suggest a deeper distrust of politics and the state altogether. As things stand, the immediate conclusion we can arrive at is that Malaysia's political arena remains an attractive space for those who wish to engage in politics. But the splintering of parties and the emergence of new parties will also contribute to the splitting of votes at any coming election, making it more difficult to predict the outcome of political contests at both the state and federal levels. Dr Farish A. Noor is Associate Professor at the S. Rajaratnam School of International Studies (RSIS), Nanyang Technological University, Singapore. This article first appeared in RSIS Commentaries.